I love TV. It got me through some really rough years and continues to be a primary bonding method for me and my significant other. I was always more a comedy guy than an hourlong drama guy so my experience with The Sopranos actually mostly boils down to the constant discourse on it from other people who love TV, and happening to be in the room when my brother watched the last episode, lo those many years ago. Ditto The Wire, The Shield, and many other canonized TV dramas. I did watch, and enjoy, Breaking Bad, and Mad Men, after they had finished. For a while, I enjoyed TV discourse, which mostly centred on TV dramas because there's a lot to dig into with them: craft, suspense, exploration of human nature, importance. Comedy rarely gets this kind of treatment because it is primarily looking to be judged on a binary "Did it generate laughs" rubric - subjective between different people, but unambiguous in practice. Of course great comedies can, and often do, generate discussions about the nitty gritty - the relationships they depict, the targets they take, the craftiness of their jokes, the long term story direction (why spend a season building to Robin and Barney's wedding only to have them divorce immediately?) But that's not what this is about. As stated above, it's about Game of Thrones - sort of. My immediate reaction to the tweet's phrasing was, "What a weird thing to say." Leave aside - for a few paragraphs at least - whether Game of Thrones belongs on a list of Top 20 Dramas of X years. What does it say that they are calling it out as an omission? To ease the shock of angry nerds? To get ahead of the outrage? To signal, "We don't consider genre shows to be worthy of consideration"? To make you curious about what did make the cut? There's a word for that, and I am not in the habit of taking the bait. I went on a mini-rant in one tweet that had two components - first, that articles like these tended to champion the same old shows over and over and didn't have much new to say. And second, tat the only show whose discourse I was really interested in anymore was LOST, which I complained never seemed to be included on heavyweight lists like this. The world doesn't need another piece extolling the virtues of the Holy Canon of 2000s Dramas - Sopranos, Wire, Mad Men, Breaking Bad. 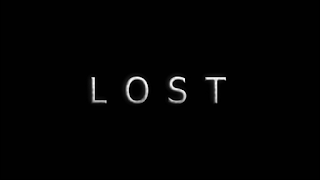 What the world DOES need is my thoughts on LOST, which was amazing and never makes it to articles like this. As to the second, my good friend James Leask, always happy to bust a chop when needed, informed me that LOST did in fact make the Twenty. 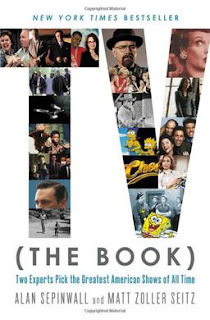 In fact, it was given good support in the Drama Derby, and a due writeup in TV the Book. To say that LOST discourse is not alive and well is really just oversensitivity on my part, overcompensation for the one of these shows that I'm really attached to. The fact is, people who hate or misunderstand LOST have mostly given up caring, but the people like me who truly love every moment of that show (except Nikki and Paulo) still herald it. Which means it does usually get its seat at the table. Chastened, I decided to look at the article after all. The usual suspects to make up their chunk of the list, followed by a layer of shows, like LOST, that may be included or excluded depending on the individual article - Friday Night Lights, Transparent, Enlightened, Deadwood. The Shield, which is usually either the bottom of the top layer, or the top of the next, depending on the article. Then there were a few surprises, where the list really showed its work. I was surprised to see the support for Damon Lindelof's LOST follow-up The Leftovers, which had a perfectly good first-season, an inspired second-season, and a third season I didn't end up seeing. LOST's genre-cousin Battlestar Galactica also made the list. Jane the Virgin, Veronica Mars, the Good Wife and Grey's Anatomy, which are not often talked about in the canon, but are beloved by many and truly do show mastery of the form (particularly Jane, the only one of that crop I have watched.) And then there were some truly left-field selections - Atlanta, which is normally considered a comedy, and the children's cartoon Adventure Time, which nobody who has watched more-than-casually could deny deserves consideration. I'm annoyed. I went from writing this article off wholesale to appreciating what it did. I hate being proven wrong, which, given I'm actually quite dumb, happens often enough. Currently, I work in book retail. In tracking our top sellers, we have a loosely-defined category called the "Storytelling Layer" which may be titles 11-25 or 25-50 or 11-75 on a ranked list, depending on the scale we're talking about. They're not the Top 10, guaranteed hits that everyone can agree on. They tend to offer more of a mixed bag and vary over time. The value in an article like this is that next layer - where it goes after those guaranteed canon titles are dealt with. You can't have a conversation about Best TV Shows Ever without mentioning Sopranos or Breaking Bad or whatever, but the point of interest is always where the discussion goes next. It doesn't have to be a ranked list, just an affirmation that something like Jane the Virgin or LOST or Adventure Time might be worth mentioning in the next breath after The Wire. These are the conversations I like having about most media, where peoples' true preferences (or biases!) can be found. 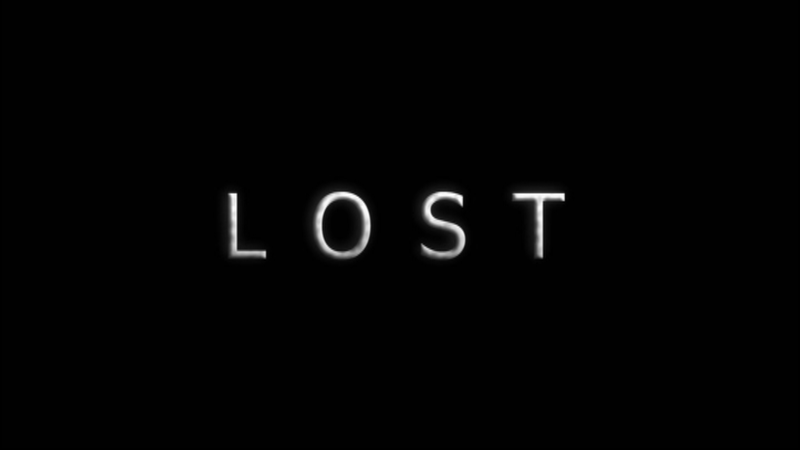 Just as long as we can all agree LOST belongs on any list.